In a small jar, or a container with a tight fitting lid, add the extra virgin olive oil, red wine vinegar, salt, dried oregano, and black pepper. Cover the container and shake vigorously to mix. Refrigerate until ready to use, stir vigorously before using too. 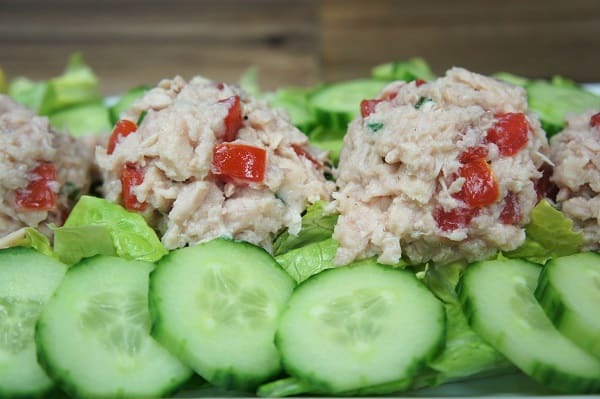 Place the tuna in a large bowl. Add the lemon juice, tomatoes, sliced green onions, salt and pepper to the tuna. Stir to combine well. Refrigerate until the salad is prepped. Chop the hearts of romaine lettuce. 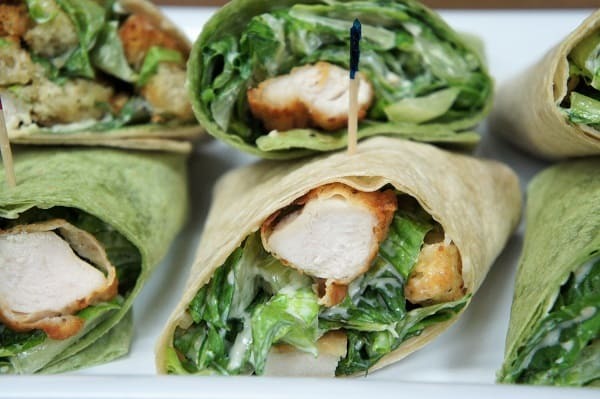 Arrange the lettuce on a large platter or individual bowls. Arrange the cucumbers and top with the lemon tuna. Serve the lemon tuna & tomato salad with lemon wedges and the homemade red wine vinaigrette.​ Enjoy! If you’re using pouch tuna there is no need to drain. 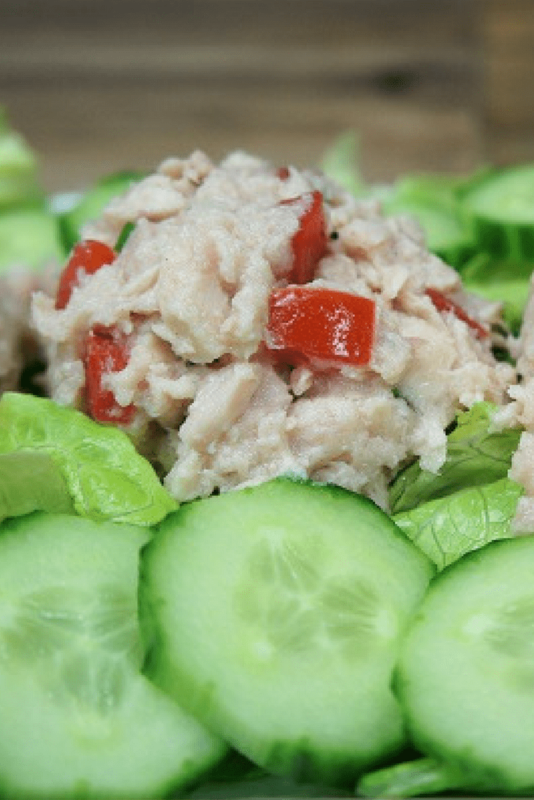 With canned tuna, drain it, but don’t leave it bone-dry. If you’re using a hothouse (or English) cucumber, peeling and seeding is not necessary. With a garden cucumber, then you may want to remove most, or all of the peel. Also, slice the cucumber in half and gently remove the seeds with a spoon. 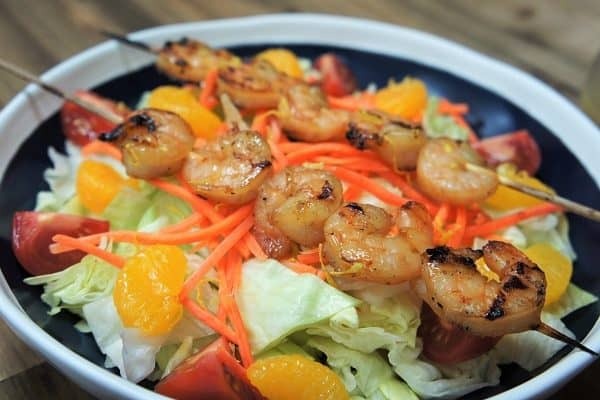 This citrus shrimp salad is easy, quick and delicious. It’s great for warmer weather. The salad starts with a generous bed of lettuce, shredded carrots and sweet mandarin slices. Then it’s topped with skewered shrimp that were quickly marinated in a citrus sauce and grilled. A sweet and tangy homemade citrus dressing tops the whole thing off.